Harvest One Cannabis Inc (TSXV: HVST) is a fan favorite as of late. 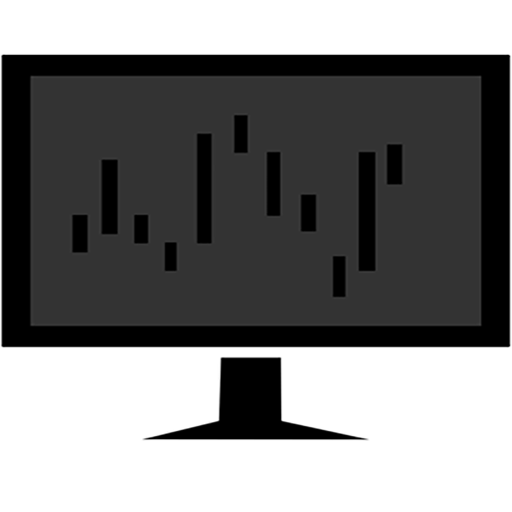 Discussions related to the stock have been frequent across social media, with a particularly heavy following on Reddit. Due to this activity, we set out to discover what it is that so many investors currently love about the company. In short, we were not disappointed with what we found out through our Deep Dive. Harvest One is a company that encompasses several aspects of the increasingly legal worldwide cannabis market. It is global in nature, thanks in part to technically being a subsidiary of an Australian giant in the medical cannabis sector. To further this concept, the company owns subsidiaries in both North America as well as Europe, the latter of which distributes product across two continents, with its eyes on a third. Rather than being solely focused on producing and selling dried product, it also places an emphasis on the pharmaceutical aspect that is being rapidly developed around the marijuana plant. So just who is this company? What does Harvest One Cannabis bring to the table? Why, we’re glad you asked. The United Greeneries Duncan facility was officially purchased by the company on May 30, 2017. This purchase was part of the initial arrangement between Harvest One Capital, and that of MMJ Phytotech, the company from which United Greeneries and Satipharm were acquired from. The facility itself was obtained by Harvest One for the cash purchase price of $2,800,000. Within this figure includes both the 16,000 square foot facility, as well as the thirteen acres in which the building is situated upon on Vancouver Island. At the time of purchase, the facility was capable of producing up to 1,000 kg of cannabis per year, and could legally do so through its cultivation license. Prior to this purchase, the facility was owned under lease. It has since obtained its license to sell medical cannabis as well, which was acquired on October 13. Harvest One’s planned expansion at their Duncan Facility. With regards to the size of the facility, at the time of purchase the plan was to execute a fully funded expansion to 130,000 square feet. Had this occurred, it would have enabled the facility to produce roughly 8,500 kg on an annual basis, a significant increase from the current capacity of the facility. 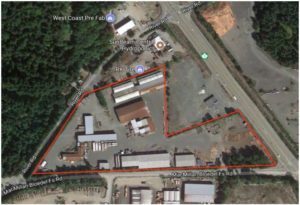 However, it is believed that this plan was scrapped as of November 20, when Harvest One announced that it is more economically logical for them to instead put those funds towards developing an entirely new facility on recently acquired land, which will be known as the Chemainus facility. However, this doesn’t entirely align with their initial news release as seen above, indicating that the facility would be complete by this point in time. This development also has a potential issue, which we will address shortly. harvest One’s announcement related to the cancelled of the proposed expansion at the Duncan Facility. United Greeneries Saskatchewan currently consists of one facility that is 62,000 square feet in size and is situated upon eighteen acres in Lucky Lake, Saskatchewan. At present, little has been stated by the company with regards to this facility, and it appears no new developments have occurred since May 1st at this location. Harvest One’s Lucky Lake Facility. Image from Harvest One’s investor presentation. Currently, it is believed that the facility is in the security clearance stage of licensing. Originally, the facility filed its application to become an MMAR producer in March 2015. It’s unclear why the facility has not advanced from this stage in close to three years’ time. It is anticipated that once licensed, the facility will be capable of producing up to 12,000 kg a year in dried cannabis product. The facility also has future expansion opportunities should they receive this license. With respect to the development of the facility, it has been made clear that work is required in order to get it ready for production. 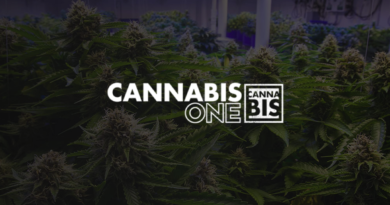 To this end, on May 1st, 2017, Harvest One signed an interim agreement with that of PanCann Streaming Corp, now known as Cannabis Wheaton Income Corp. Within this agreement, it was agreed that PanCann would provide funding for the development of the Lucky Lake site, as well as a third as yet to be selected facility. In exchange, PanCann would receive a 49% equity stake in the facility, and would be able to purchase up to 40% of the product produced at a rate of cost plus 10%. This was done to reduce the potential dilution to Harvest One shareholders. The interim agreement between Harvest One and PanCann Streaming (Cannabis Wheaton) related to the Lucky Lake facility. In the long term, it is questionable however whether this is the ideal scenario for shareholders. Although at the present time there is no additional dilution to the company’s share structure, they have effectively lost ownership over half of a facility. Further to this, potential revenues from the facility have been significantly reduced based on receiving only a 10% margin on forty percent of their product. When compared to the large margins currently being experienced in the sector, this might prove to be more detrimental to long term shareholders than it is beneficial. With respect to this interim agreement, no definitive agreement has come of it yet. 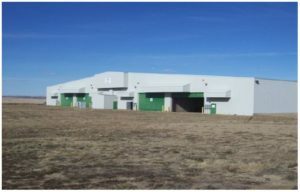 Within Harvest One’s latest investor presentation from December 2017, it indicates that this facility is still 100% owned by the company. Based on the handful of equity raises the company has performed as of late, it’s possible that this plan was scrapped altogether after Harvest One dug down in to the financials of it while performing their due diligence. Just this past week it was announced that Harvest One, through its United Greeneries subsidiaries, had developed a go to market strategy for retail sales. This strategy involves two product lines of cannabis products, and will commence as of February 2018. Presently, the company has over 325 kg of cannabis product stored in their vault awaiting for these retail networks to be established. The recently released branding strategy for Harvest One and United Greeneries. As seen above, the go to market strategy involves two brand names for United Greeneries, one of which is a premium offering, while the other is a “signature series”. Under these, there will be multiple lines of product with different varieties, offering the consumer several options to choose from. In addition to selling its product through a retail network, United Greeneries and Harvest One currently have a wholesale distribution network in place as well. This business to business agreement was initially signed on June 27 between Harvest One and a third party entity later disclosed to be CannTrust Holdings. Under the terms of this agreement, CannTrust would purchase the first 100 kg of dried cannabis product produced by Harvest One, at a price of $5 per gram. In total, this agreement was for $500,000, with CannTrust also receiving right of first refusal for twelve months in regards to the future production of cannabis. This agreement was entered to enable Harvest One to have sufficient time to establish a retail network. The final asset obtained as a result of the spin out from MMJ Phytotech Ltd, Satipharm is a Swiss-based pharmaceutical subsidiary of Harvest One. According to the notes related to initial spin out, the company is focused on pharmaceuticals, nutraceuticals, and cosmeceuticals. Currently, their only product line consists of the Gelpell Microgel Capsules. These capsules are available in both 10 mg as well as 50 mg varieties at the time of writing. Satipharms current product offering. 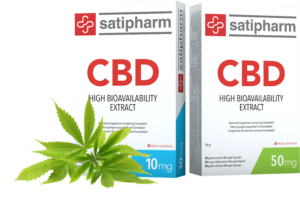 Image from Satipharm’s website. Gelpell Microgel Capsules are a product produced and manufactured by Satipharm AG in conjunction with Gelpell AG, an unrelated Swiss based company. In early 2016, Satipharm obtained the exclusive worldwide rights to the use of Gelpell’s product for all cannabis related applications. The product is essentially a pill loaded with CBD, which has a very high bioavailability as a result of the technology developed by Gelpell. Together, the two companies are in the process of obtaining a patent for this technology, and once granted they will jointly own this patent. Additionally, the patent will be extended to Phytotech Therapeutics, an Israel based company that is currently developing prescription-based products with the Gelpell technology for that of Satipharm. Satipharm’s Phase 1 clinical trial results, compared to that of GW Pharmaceuticals’ comparable product. With respect to the current developments by Phytotech, two clinical trials have recently entered phase two in relation to this Gelpell technology. The first of which, is focused on treating epilepsy within children. The second, is centered on treating certain conditions related to multiple sclerosis. The product, should it become economically viable, will be a direct competitor to products currently offered by Insys Therapeutics as well as GW Pharmaceuticals. Preliminary results have shown excellently when compared to that of GW Pharmaceuticals product, offering a much high level of bioavailability than its competitor. The “free sales” certificate issued to Satipharm’s Gelpell Microgel Capsules. The product itself has had several developments as of late in regards to its distribution. First, it has recently received its “free sales certificate”, which identifies it as a food supplement, making it easier for distribution to occur within the European Union. Second, the company has commenced sales to approved Australian clients through a local distributor within the country. Lastly, an import application has been filed with and approved by Health Canada for the product to be distributed by United Greeneries under their current ACMPR license. As a result of this enhanced distribution network, sales for the product are expected to improve significantly throughout 2018. On November 20, 2017, Harvest One entered a letter of intent with an undisclosed third party. Within this letter of intent, were details related to the leasing of a former industrial lumber kiln drying plant located in Chemainus, B.C. Although financials figures were not released, the company informed shareholders that once converted to an indoor facility, it should be capable of producing approximately 8,000 kg of cannabis on an annual basis. Harvest One’s proposed Chemainus Facility’s outline. The facility itself is being acquired as an alternative to expanding their nearby Duncan facility. 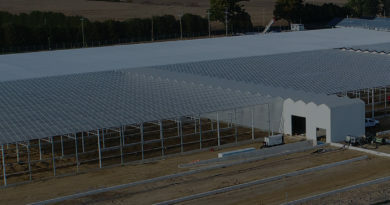 As a result of the buildings former industrial use, it already has the required electrical supply needed as well as a proper building envelope suitable for the production of cannabis. The result of this is, is that the facility will be able to produce high quality cannabis, rather than extraction grade cannabis, for the same $9 million spent on expansion. This thereby provides the company and shareholders a better return on their investment. Harvest One’s proposed Chemainus facility site plan. Photo from company investor presentation. There are some concerns related to this facility though. First of which, is the fact that in the early part of 2017, the company can be quoted as stating that the fully funded Duncan facility could be expected to be completed in Q4 2017. The acquisition of this facility, and the subsequent cancellation of the planned Duncan facility, brings in to question statements made by the company. By November 20, we were already more than halfway through this quarter. By this point in time, shareholders were anticipating for an announcement that the facility expansion had been completed, rather than it has since been cancelled. The second issue, is whether or not this facility will be subject to the Cannabis Wheaton streaming deal. Under the initial interim agreement, Harvest One had agreed to give up 49% equity of a third facility, along with providing 50% of product produced to Cannabis Wheaton at a price of cost plus 10%. If this facility is in fact subject to this agreement, it will significantly reduce potential revenues for the company, which were expected to flow from the unrelated Duncan facility. With that expansion now scrapped and the growth capacity transferred to this new site, it could have a serious impact on revenues if this agreement holds true. One of the latest developments for Harvest One, is that of its proposed outdoor facility. 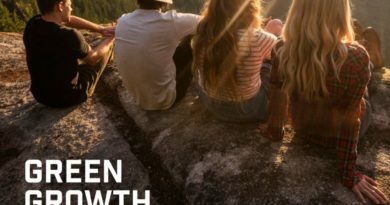 On December 18, the company entered into a binding agreement to purchase 398 acres of land in British Columbia, the purpose of which will be for the outdoor growth of cannabis. Outdoor you say? That’s not even legal! No, as of yet it is not yet legal. However, the Government of Canada released proposed regulations related to cannabis in November 2017, within which it outlined that it wishes to legalize the outdoor growth of the plant. However, it is unlikely that these regulation will be approved exactly as they were written in the government’s paper. 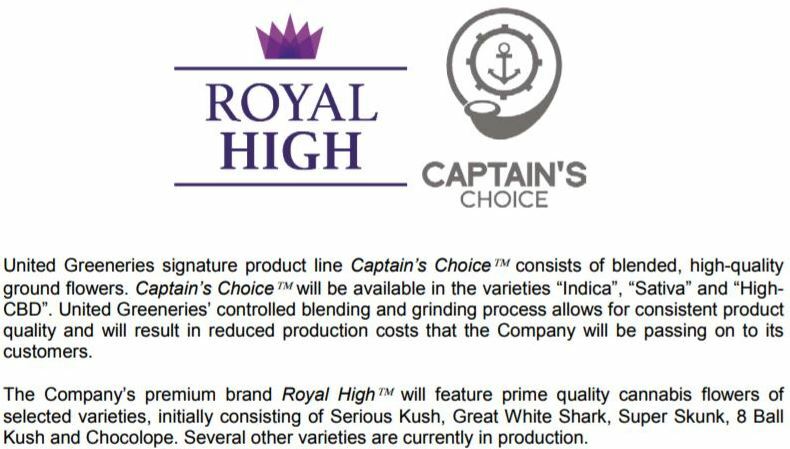 Within the news release itself, it is made very clear that it may not become legal, however the company wants to get a head start due to the likelihood of it soon becoming legalized, and the benefits it offers from a cost perspective. A quote from Harvest One CEO Andreas Gedeon outlining the risks with the outdoor facility. Initially, Harvest One plans to cultivate approximately 140 of the 398 acres, as a means of developing the best processes. Further to this, they have acquired consultants that have experience growing in similar environments within Europe and California. It is anticipated that the first use of this land will occur in 2019, with an anticipated yield of 50,000 kg of dried cannabis product. Harvest One’s proposed outdoor facility. Photo from company investor presentation. The acquisition for the property is anticipated to close by March 1, 2018, at a purchase price of $949,000. This will be funded through funds acquired from the recent bought deal the company underwent. Additionally, initial operating costs will also be paid for through this bought deal, and the operation is expected to already be fully funded. With regards to the growth strategy, the company anticipates that it will be some of the lowest cost per gram production of cannabis in the country. This however, does not come without its associated risks. Risks such as wind storms, drought, and fire are much more real in outdoor conditions, especially when speaking to land in the mountains of British Columbia. The company has indicated that irrigation and feeding lines will be used in conjunction with the property to assist in alleviating some of these risks. At the very least, it will be a product that is produced in a significantly different environment when compared to the rest of the legal cannabis market at this point in time. When we look at the revenues of Harvest One, we notice something that seems a little off. This is a result of the accounting method the company uses to record revenues. The latest financials for the company that we have access to were issued on November 29, and consist of the three month period ending September 30, 2017. Breakdown of Harvest One’s revenues for the quarter ended September 30, 2017. Above, you will see the total figure recorded for revenue through this three month period was $379,640. Of this, the majority largely consists of revenues from their cultivation line of business. If you recall, the license to sell cannabis from their facility was not received until October 13, 2017. Therefore, the company is not recording true revenues. Rather what is being recorded, is an unrealized gain on an asset. Essentially, it’s a legal accounting trick used by many in the industry to pump up revenue figures for a financial period. What these revenues due in fact tell us, is that at this point in time Satipharm isn’t all that profitable. For the latest period, it recorded a dismal 12.73% gross margin on its overall sales for the period. Hopefully, this is just a result of getting its distribution network largely established during this time period, and not a reflection of the true margin within the industry. If there is one highly notable aspect of Harvest One’s financials, it’s the company’s current cash position. Although the company had not raised a single dollar since the initial raise related to the spin out, it still had a very strong cash position. In the time period since, this position as only strengthened as a result of an additional two raises performed by the company. Cash position of Harvest One as of September 30, 2017. At the time of the latest financials, the company had roughly $12.1 million in cash residing in its coffers. This served as over half of the company’s current assets for the reporting period. As a result of this, it is able to fully fund the proposed facility located in Chemainus, BC at an estimated cost of $9 million, while still having funds to spare for other purposes. This is an unusual position for the majority of players in the current cannabis sector. In the time period since September 30, one equity raise has been completed while a second was started just a few days ago. The first of which closed on December 14, after having raised a total of $20.1 million through the issuance of convertible debentures. The second, issued January 9, was originally planned to be for $25 million through a short form prospectus. However, after what is assumed to be an intense level of demand it was later upsized that same day to $35 million, with an overallotment of up to $40.25 million. Needless to say, the company is in a very lucrative cash position at this point in time. With regards to Harvest One’s share structure, we were required to do a bit of estimating. As you likely know from previous articles, we like to be as precise as possible when it comes to share structure. To this end, it includes doing the math on convertible debentures and what they’ll do to the companies share structure once they are fully converted. Additionally, with a recently announced financing currently open, we took the liberty in assuming this would be fully funded, minus the overallotment option. 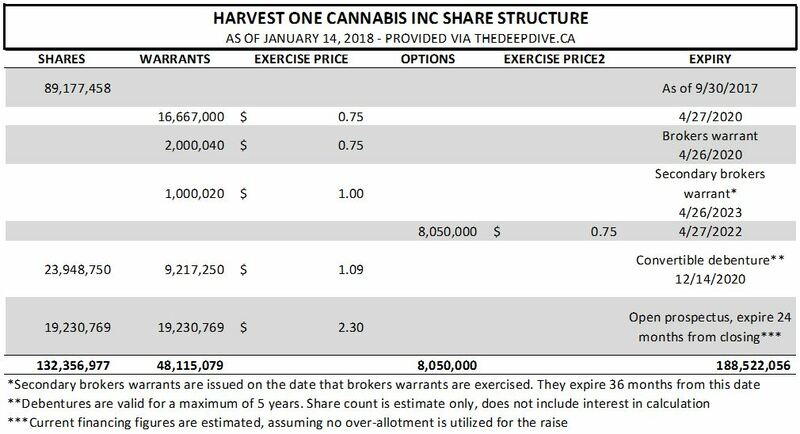 The estimated share structure of Harvest One Cannabis as of January 14, 2018. As it stands, it is estimated that upon the close of the latest financing round, the company will have roughly 132.3 million shares outstanding. Again, this assumes all convertible debentures have been converted, with no interest payments factored in. On a fully diluted basis, there is roughly 188.5 million shares outstanding. Relative to the current market, it’s not that bad overall. Based on Harvest One’s closing price on January 12, 2018 of $1.59, these figures give Harvest One a market valuation of approximately $210.4 million. Fully diluted, this number jumps up to roughly $299.8 million. One of the last items we wanted to touch on, is that of insider positions of Harvest One Cannabis. As we previously addressed earlier, Harvest One is actually a public subsidiary of MMJ PhytoTech Ltd, an ASX listed cannabis corporation. As recently as last month, it was stated by the company that MMJ owns approximately 60% of the company as it currently stands. That may be true on technical terms, due to the convertible debentures not being exercised. However, with the latest financial raises that have occurred, the company will experience a measurable decrease in its control over the company. So much so, that it won’t be classified as the majority owner any longer. Insider positions of Harvest One as of January 14, 2018. As a whole, it is anticipated that on a fully diluted basis, insiders will own approximately 31.37% of the company. This is based off of the assumptions addressed earlier when establishing our estimated share structure for the company. Furthermore, it is estimated that upon the close of the latest financing round, MMJ PhytoTech will only control roughly 40% of the outstanding shares of the company, with convertible debentures factored in. This is a notable decrease from the roughly 60% the company held prior to the debentures being issued last month. Providing a potential valuation for that of Harvest One is a bit complicated, as there are multiple items to take in to consideration. For instance, as a result of the current right of first refusal held by CannTrust for all cannabis produced by the company, should we base our estimates on the wholesale price, assuming the 3rd party purchases all product? Or should we go with an average figure assuming all product is sold through retail channels? How do we quantify Satipharm, considering they just recently gained access to two separate markets that we as of yet don’t have sales figures for? What about the two new potential grow locations? Based on these assumptions, this infers that in total we are basing the valuation off of 13,000 kg of dried cannabis produced annually – 1,000 kg at the Duncan facility, and 12,000 kg at the Lucky Lake facility. As of yet, the Chemainus facility, nor the outdoor growing plot is not owned by the company. Using this figure with our assigned price, gives us an annual revenue figure of $104,000,000. Based on that number, Harvest One is currently trading at a 3x multiple to its estimated revenue as per these conditions on a fully diluted market cap basis. Again, this does not include potential revenue from Satipharm either. Now, if we were to include the proposed production of the Chemainus facility, as well as the outdoor facility using 2019’s production estimates, we bring the total annual production figure to an estimated 71,000 kg of cannabis. Again using the price estimate of $8 per gram, we would land on an annual revenue figure of $568 million, or just shy of 2x its current fully diluted market cap. Keep in mind these revenue estimates contain a whole lot of assumptions, and as such their accuracy will not be 100%. Satipharm is a large question mark at this point in time due to the new markets it has recently gained access to. It also does not take in to account the increasing expenses of managing multiple facilities, or the personnel or capital required for production. Therefore, take these estimates with a grain of salt. They were provided to assist investors with establishing a baseline in their investment. Harvest One Cannabis, at its core, is a company that is wasting no time in becoming a global entity. Not only is it focused on the soon to be legal marijuana markets in Canada, it’s also focused on the potential implications of owning a full-fledged pharmaceutical giant as well. The preliminary results of which have been excellent, showing better results than that of current market leaders in the global space. This fact alone bodes well for Harvest One and its subsidiary of Satipharm. Like any company however, it is not without its issues. Namely, it needs to quit wasting time ho-humming about its expansions, and instead it needs to get shovels in the ground. The fact that the Duncan facility was planned to be completed in Q4 2017, but yet was instead cancelled in this quarter, was a bit of a letdown to shareholders. Additionally, it’s questionable whether the streaming deal with Cannabis Wheaton will truly be a net benefit to the company, even with potential dilution factored in. Even with these few issues factored in to the equation, we are still a fan of Harvest One. The future growth potential of the company is explosive, especially if Health Canada passes regulations related to outdoor cannabis growth. Recall that production estimates for this property was based on using less than half of what the company plans to acquire, and you’ll likely realize the potential this facility alone has. Mixed in with the other aspects of Harvest One that we recently addressed, and you’ve got a growth stock chomping at the bit to provide value to its shareholders. Find companies that invest in the future. Research their viability. Dive Deep. Information for this analysis was found via Sedar, TMXMoney, SEDI, Canadian Insider, Satipharm AG, United Greeneries, and Harvest One Cannabis Inc. The author has no securities or affiliations related to this organization. Not a recommendation to buy or sell. Always do additional research and consult a professional before purchasing a security. 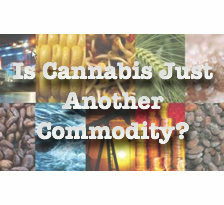 Is Cannabis Just Another Commodity?